Less lazy. More Beast Mode. Less lazy for all of us. More beast mode! Time to chase those gains so that when december 2019 hits – we can look back at the year and be PROUD of our hard work! Let’s get busy! This “less lazy. 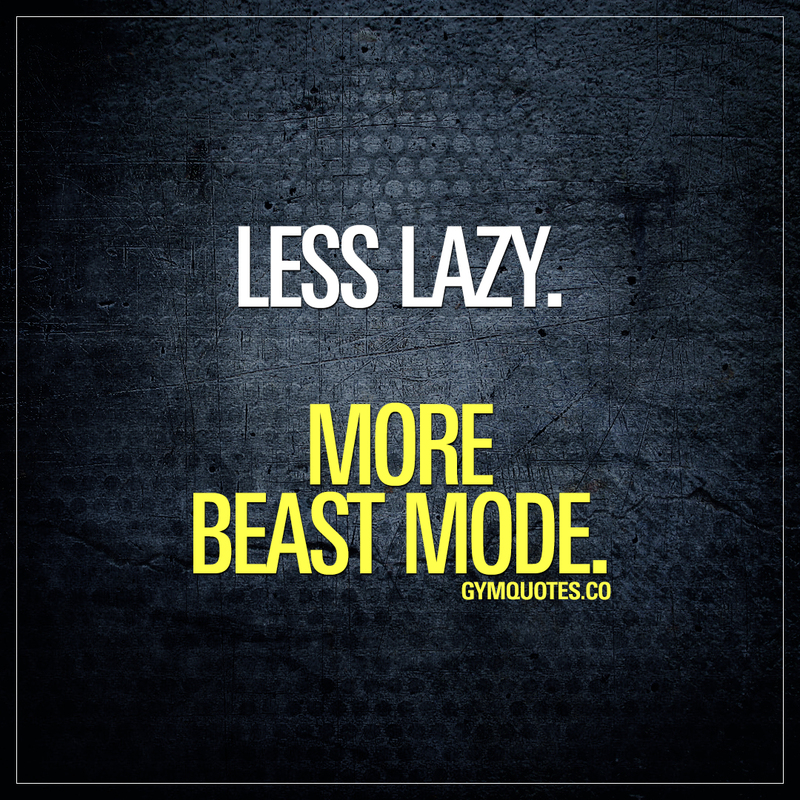 More beast mode” quote (image and text) is copyright © Gym Quotes 2019.